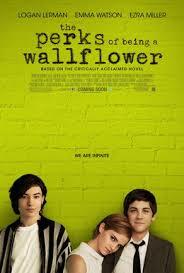 I was supposed to read Perks of Being A Wallflower by Stephen Chbosky when I was in high school. Somehow, through a switch of classes, I missed it. I think I read early American Lit instead– John Smith and Anne Bradstreet. I’m reading Perks now, ten years later, when I consider myself older and (maybe) wiser, or at least more capable in life. This book is said to be a great revealing of high school and what it is to come into maturity, and as I read it now, I spend most of my time wondering what I would have said or thought if I came across this book when I was originally supposed to. I wonder how I would have responded to the concept of only accepting the love that you feel you deserve (Would I have loved myself more then?). Or how I would have understood the family dynamics put forward– even the difficulty of finding your father a Christmas present. Anyway, Patrick started driving really fast, and just before we got to the tunnel, Sam stood up, and the wind turned her dress into ocean waves. When we hit the tunnel, all the sound got scooped up into a vacuum, and it was replaced by a song on the tape player. A beautiful song called “Landslide.” When we got of the tunnel, Sam screamed this really fun scream, and there it was. Downtown. There’s something important about this scene– about being a teenager and just enjoying the physics of the world around you. I wish I had come across this description when I was still in high school– at a time when I didn’t quite know how you could break out of your own drama and love the world around you instead. For so many new drivers, the ability to transport yourself anywhere is the ultimate freedom, but I saw it as evidence of getting old and potential car wrecks. Yep– I was a bit dark. I didn’t have the necessary optimism to enjoy something so new, but maybe I could have seen the act of driving differently if I had seen it revealed like this scene. Somehow, the connection that I have with this book is that I felt this sense of freedom on my own, a bit later in college, when I ran across a half frozen lake, or when I wandered around a quiet downtown at 4 am. Or maybe the connection that I have is more of an awareness that I needed this book. This book could have brought me to this sense of freedom earlier in life. So, here’s my conflict. I’m not saying that I’m not getting anything out of Perks now that I’m reading it finally a bit older. It’s caused me to think, right? So that’s something. Is there time in your life when a book should be read? I certainly can’t go back to the time frame when I should have read this. Or is it good enough to be sentimental, to connect with your old self, to wonder if you can still feel this now? I’m not sure. I’m torn.